It was one of the gifts of the Magi – in addition to myrrh and gold they offered frankincense to the newly born baby Jesus. Frankincense is a resin derived from trees belonging to the Boswellia family, of which there are around 20 different species. The trees grow naturally in the dry regions spanning from West Africa (where about 75% of all Boswellia trees are found) to Arabia and south to the northeast region of Tanzania. Some can also be found in India and Madagascar. Boswellia trees have an outer bark that peels away like parchment flakes and a greenish inner bark, which contains the trees’ sap and aromatic resins. We call these resins frankincense, or olibanum, and the precious resin, sometimes called “pearls of the desert”, is collected either by making an incision in the tree and allowing the resin to flow and harden, or by collecting hardened resin that has flowed naturally from the tree. The word frankincense is derived from the ancient French name “frankincense,” meaning “pure incense.” Since ancient times the aromatic fragrance of burning Boswellia resin has been part of many religious ceremonies and is still used as a means to indicate special festive atmosphere in the church today. 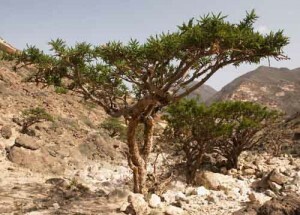 But frankincense can do much more: “The resin from the trunk of Boswellia trees contains anti-inflammatory substances,” says Professor Dr Oliver Werz of the Friedrich Schiller University Jena, in Germany commenting on his own research in 2011. Frankincense is a well-known anti-inflammatory. Of the more than 300 known active ingredients in frankincense extract, boswellic acids are the most well-studied. Prostaglandin E2 is one of the mediators of the immune response and plays a decisive role in the process of inflammation, in the development of fever and of pain. Werz says he is convinced that the active substances can be very beneficial in therapies against diseases like asthma, rheumatoid arthritis or atopic dermatitis. In addition to a new, targeted use in the treatment of inflammatory diseases, boswellic acids also have the advantage of producing fewer adverse effects than today’s prevalent anti-inflammatory treatments like diclofenac or indometacin. The impact of these common drugs is less specific, according to Werz, and unlike boswellic acids, they can increase the risk of stomach ulcers and can harm the kidneys. Frankincense on the other hand has shown few adverse effects (oral doses can produce some nausea and stomach upset) and no known interactions with conventional drugs. In the Werz’s study, researchers compared the anti-inflammatory effects of the resin of several different kinds of frankincense. The most well-known and widely-used species of Boswellia is the Boswellia serrata from Northern and central India. Clearly we still have much to learn about the therapeutic differences between Boswellia species. Taken orally, capsules containing Boswellia frereana have been shown to ease painful arthritis. Boswellia carterii has similarly been shown to be anti-inflammatory. Animal studies and pilot clinical trials in humans support the potential of Boswellia serrata gum resin extract (BSE) for the treatment of a variety of inflammatory diseases like inflammatory bowel disease, rheumatoid arthritis, osteoarthritis and asthma. 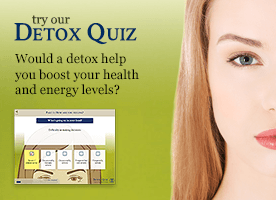 It has also been shown to be effective in treating chronic cluster headaches. Indeed, in 20o8 a well known alternative medicine sceptic, who reviewed the evidence for the medicinal properties of frankincense (in this case B serrata) in the British Medical Journal found that Boswellia extracts showed some promise in treating asthma, rheumatoid arthritis, Crohn’s disease, knee osteoarthritis, where one trial found that the effect lasted longer than when patients took valdecoxib, a selective COX-2 inhibitor and collagenous colitis. He was moved to conclude that the evidence was “encouraging” for in treating a range of conditions caused or maintained by inflammatory processes, though more evidence is needed. Boswellia serrata extract also exhibits anti-bacterial and anti-fungal activities. There is also laboratory evidence suggesting that Boswellia carterii possesses anti-cancer properties, though no human studies have shown this yet. Adding to the interesting findings in cancer studies, in 2013 researchers from the University of Leicester in the UK, released the findings of a study, ahead of publication, which showed that the AKBA (acetyl-11-keto-beta-boswellic) compound found in frankincense and ovarian cancer cells in a lab. Previous studies have linked the AKBA and other active compounds in frankincense as potential treatments for other cancers including colorectal, pancreatic and breast cancer (in these last two studies it was B. sacra essential that was found to be effective). The research into the medicinal qualities of frankincense, as well as its widespread use in perfumery and cosmetics, throws up several questions about the sustainable production of the tree, however. This article updates and extends the information in the news story which appeared here.